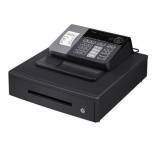 Casio Cash Register Black CASIO SE-G1 Pack of 1 Casio SEG1 Cash Register. Great for small and medium size retailers. 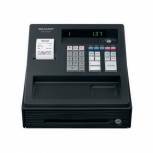 Features: antimicrobial keyboard, 20 departments, 120 PLUs, mode key, easy tax programming, 5 coin and 3 note compartments, calculator mode and refund mode. 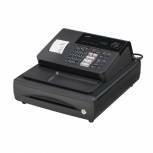 Casio Cash Register Black CASIO SE-S10MD Pack of 1 Casio SE-S10 Cash Register. 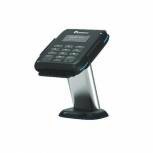 Ideal for any retail environment. 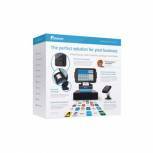 Features: drop in paper loading, 20 departments, easy time and date set-up, easy tax programming, 500 PLUs, up to 5 lines for store message on receipts, error correction and refund mode. 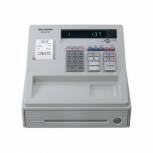 Sharp XE-A137 Cash Register White XEA137WH Pack of 1 Low profile cash register with 12-digit display, 8 departments and 200 price lookups. 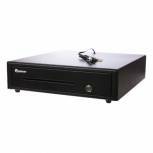 Lockable cash drawer. 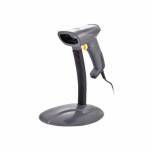 Quiet thermal printer. SD card slot for sales reports and electronic journal. Special Help key prints setup and operation instructions.